A new product from Clif, Kit's Organic Fruit & Nut Bar is a delicious and healthy gluten free snack! This nutrition bar is 100% organic and, in addition to being gluten free, is soy free and dairy free. For more information, please visit www.clifbar.com. Bogota Latin Bistro in Park Slope, Brooklyn is a Colombian and Pan-Latin restaurant co-owned by fellow Gallatin School alum, George Constantinou. The restaurant has gluten free, vegetarian and vegan options clearly marked on their menus. They also have two dedicated gluten free fryers. Bogota Latin Bistro offers an extremely large variety of gluten free options for brunch, lunch and dinner. For brunch, you can even get gluten free pancakes with powdered sugar, fruit and maple syrup! So far, I've tried the plantain chips (which are on the table if you dine at the restaurant), the blue and yellow corn tortilla chips with guacamole and pico de gallo garnish, the white arepa, and the tortilla soup. The tortilla soup is a chicken soup with a spicy chipotle broth, tortilla strips, avocado, sour cream, jack cheese and cilantro. If you order this item for delivery, they pack each of these items in separate containers so that the ingredients in the soup are not soggy by the time they arrive. For more information, check out their website at bogotabistro.com or check out the restaurant at 141 5th Avenue and St. John's Place. Being on a gluten free diet, I don't often have the option of running into a cafe and picking up breakfast on my way to work or school. However, Naidre's located on Park Slope's bustling 7th Avenue between 11th and 12th streets has Everybody Eats' gluten free rolls readily available. I've had these rolls toasted in the morning with cream cheese and have been to Naidre's for lunch and enjoyed their Turkey and Cheddar sandwich on a gluten free roll and their grilled cheese on a gluten free roll (see photograph). 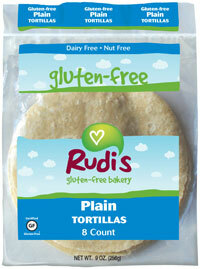 Naidre's offers an assortment of gluten free options, as well as, vegetarian and vegan choices. They also usually have some sort of gluten free bakery item such as a macaroon or cookie. For more information, visit their website at www.naidres.com or visit them at 384 7th Avenue. One of my favorite Italian restaurants in Park Slope, Brooklyn is Fornino, located on 5th Avenue between Carroll and Garfield Place. They offer an assortment of gluten free pastas and pizzas. The pasta they use is made out of corn flour and the pizza dough they use is made out of brown rice flour. I've tried both the pasta and pizza and they are excellent! As far as the pasta, I've had the penne pesto primavera (see photograph) and as for pizza, I've had the margherita classica pizza. For more information, please check out their website at www.forninoparkslope.com. Enjoy! I recently heard that the restaurant Stanton Social on the Lower East Side has a gluten free menu. So, of course, I decided to go check it out. All menu items are geared to be shared. The gluten free menu has a wide variety of items so there are plenty of dishes to choose amongst. I enjoyed the red snapper tacos with creamy avocado and spicy mango (see photograph), pan roasted chicken with corn pudding and sauteed spinach, lobster salad sliders, and grilled asparagus with smoked sea salt and lemon. For dessert, I had the white peach sorbet. Everything was delicious - my favorite were the red snapper tacos! Just a word of caution, they do not fry their items using a dedicated gluten free fryer so if you have Celiac Disease you should avoid the fried items on the gluten free menu (ex. french fries). For more information, visit their website at thestantonsocial.com or visit them at 99 Stanton Street between Ludlow and Orchard street. Berries are a great source of antioxidants and they are also naturally gluten free! They provide for a great snack or complement pretty much any other dish. Driscoll, one of my favorite brands of berries, recently sent me some coupons to purchase their berries. I got blackberries, raspberries, and blueberries (I'm allergic to strawberries). I decided to make Berry Cupcakes! It's a very simple recipe. All you need is your favorite gluten free cupcake mix or recipe (I used Betty Crocker's gluten free yellow cake mix), top the cupcakes with some gluten free icing (I used Betty Crocker's vanilla frosting) and then add your favorite berries to the top. For more information about Driscoll products, please visit their website at www.driscolls.com. Also, check out their extensive assortment of gluten free berry recipes. Do you have a favorite berry recipe? Share it in the comments below. Gluten Free Baked Goods by Butterfly Bakery! Recently, I was sent a box of gluten free chocolate chip cookies and a tray of gluten free mini blueberry muffins from the Butterfly Bakery. This company started by making no-sugar products and has recently reached into accommodating the gluten free market. The blueberry muffins were delicious and the chocolate chip cookies tasted like a regular (gluten-filled) one you would buy from your local bakery. Butterfly Bakery makes their gluten free products using Teff flour. Teff is loaded with potassium and vitamin B and has 14% more protein than wheat flour! Butterfly Bakery products are available to purchase on Amazon and at selected bakery departments across the country. Recently, I got to try out Scottadito Osteria Toscana, an Italian restaurant in Park Slope, Brooklyn. They offer gluten free pasta and include pasta entrees on their brunch, lunch, and dinner menus. I went for brunch and had a delicious gluten free penne pasta with melted brie, arugula, and truffle oil (see photograph). Scottadito Osteria Toscana is located at 788A Union Street between 6th and 7th Avenues. For more information, please visit their website at scottadito.com. Just like in New York, the cupcake craze is alive and well throughout Washington. The only difference is that a lot of the mainstream cupcake places sell gluten free cupcakes! My first day in Bellevue, Washington, I visited Pinkabella Cupcakes in Bellevue Square. Pinkabella also has locations in the Alderwood Mall, Queen Anne, Redmond Town Center and the Southcenter Mall. Here they keep their delicious gluten free cupcakes in the freezer separated from the regular cupcakes. It was a gluten free chocolate cupcake with vanilla icing and rainbow sprinkles (photographed above). For more information, please visit www.pinkabellacupcakes.com. A few days later, I also got to try the gluten free cupcake at Cupcake Royale. Cupcake Royale has locations in Capitol Hill, Ballard, Madrona, West Seattle, and Bellevue. Their gluten free cupcake has a chocolate cake with vanilla buttercream frosting and rainbow non-pareils (photographed below). It was quite tasty! They use Bob's Red Mill gluten free flour and organic sugar in their cupcakes. For more information, please visit cupcakeroyale.com. While in Washington, I was able to try two Asian restaurants that were both able to accommodate a gluten free diet. The first restaurant I went to was Din Tai Fung Dumpling House. This restaurant has a location in Los Angeles and in Bellevue, Washington, as well as, locations throughout Asia. They mark gluten free items on their regular menu along with indicating what options are vegetarian. I had the vegetarian fried rice and sauteed green beans. Both items were very good! For more information on Din Tai Fung Dumpling House, please visit their website at dintaifungusa.com. The second Asian restaurant I tried was Wild Ginger. Wild Ginger has locations in both Seattle and Bellevue, Washington. Although there is no gluten free menu, they are able to prepare many of their items so that they are gluten free. They also provide a gluten free soy sauce. I was able to sample an assortment of foods that were specially made gluten free. This included the Thai Chicken Satay, Kung Pao Chicken, Black Pepper Scallops and Pad Thai. Everything was delicious! For more information on Wild Ginger, please visit their website at www.wildginger.net. I recently returned from vacationing in the Seattle, Washington area. While in Washington, I was able to try a variety of places that either had a gluten free menu or provided gluten free options. Over the next few days, I will be posting reviews of some of the places I tried. For a preview of what is to come, see the list below. If anyone has any suggestions of gluten free places in the Seattle, Washington area please post them in the comments section below. I was recently sent a box of Rise Bars! These are all natural and gluten free nutrition bars that are free of GMOs, preservatives, soy and peanuts. All rise bars are certified kosher and are vegetarian - select flavors are also vegan. Rise Bars are available to purchase at health food stores everywhere. You can also find them online at risebar.com. For more information, visit risebar.com or follow Rise Bar on Twitter or "like" them on Facebook!